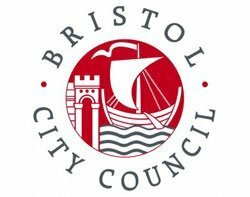 The launch of Bristol City Council's open source website this week has exposed the limitations of government SME procurement policy. The launch of Bristol City Council's open source website this week has exposed the limitations of government SME procurement policy, with the authority relying on a contract with IT services giant Capgemini to do work it had promised to small local firms. The launch was the first substantial achievement of the council's sometimes problematic September 2010 ICT policy, which aimed to use open source software as a platform for local economic regeneration as well as modernisation of its own systems. After unveiling the plans to 70 local firms last year and declaring its intention to break its website overhaul into smaller chunks of work that could be shared among a wider variety of suppliers, the council was seen as at the vanguard of coalition government IT policy that promised an end to all-encompassing outsourcing contracts with large suppliers. But Bristol's initiative, dubbed "Digital City" and led by services director Stephen Hilton, was curtailed by a surprise decision to build the website under an existing contract with Capgemini. Just seven local firms have since been added to an unofficial procurement framework under which they can bid to do further developments on the website. Jaya Chakrabarti, managing director of Nameless Digital Creatives, a local firm on the website framework, said the decision to give the work to Capgemini had been an "embarrassment" to the council. "After going to the community, they decided for whatever reason to stick with Capgemini," she said. "Stephen Hilton was gutted because the decision was taken out of his hands. The council leader was gutted herself. She was all the way with it. Then someone on high made the decision [to use Capgemini]." Bristol IT director Paul Arrigoni paid Chakrabarti a visit to explain the decision. "All he would say at the time was that because he had time constraints, he couldn't take it to the community," she said. Kevin Mason, digital strategy director at Proctor & Stevenson, another local supplier who won a place on the website framework, said, "There is small work for small companies but I understand the majority of the work has gone to Capgemini. The reason they gave was that Capgemini was of a scale to be doing the things they wanted to do." But local firms were capable of doing the work the council had given to Capgemini, he said. Mark Taylor, CEO of Sirius Corporation, who helped Bristol develop its IT strategy, said, "The vision was local regeneration. Their money comes from local taxes. The perfectly reasonable promise was that money raised in the local area is spent in the local area. Bristol promised they would place the work with local SMEs. "Then [ICT officer] Andy Beckett said, we've had some problems. We couldn't do what we were going to do and we've had to place it with one of our internal providers. They lied to the community. It's been placed with Capgemini, who are not a local company and are one of the biggest systems integrators in the world," said Taylor. Bristol service director Stephen Hilton admitted there had been "a change in policy about the way the website should be built." "Bristol City Council has a framework agreement with Capgemini for various projects. That contract was [used] to get the website. It was the quickest way to get the build up and running. That was what Paul [Arrigoni ] had in mind," he said. The council is nevertheless closer to its open source goal than it was before, with a website based on the open source Drupal platform having broken down the barriers proprietary software had previously put in the way of local suppliers, and with seven local firms contracted to work on the site. The council had chosen Drupal on the advice of local suppliers. Bristol is reluctant to discuss either its contract with Capgemini or the money involved. Computer Weekly has asked the council for details of its Capgemini contract several times. The council said in a press release the website would cost £800,000 over five years, but a spokesman was unable to say how much was allotted to Capgemini. Luke Smith, Bristol's website manager, said no more than £100,000 had been allotted for spending with local suppliers over the next year. A Bristol spokesman said in a written statement it might not publish the Capgemini numbers at all. "The total budget for the website is £800,000 over five years. This includes design, development, migration of content and ongoing support. Capgemini's work is just a part of that. We are currently checking if we are in a position to release specific company contract information at this stage," he said. A Capgemini spokesman said in a written statement: "We are working with Bristol City Council on a project basis and have helped them with building their new website based on an open source CMS."